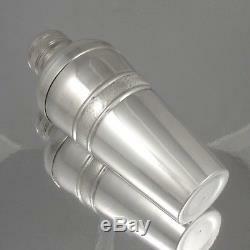 Vintage French Silver Plated Cocktail Shaker Signed. 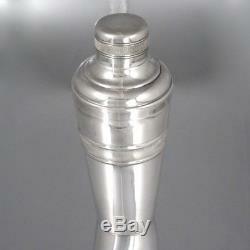 His stylish vintage French silver plated cocktail shaker is beautifully designed with a pattern of low relief ribbing and two bands of. 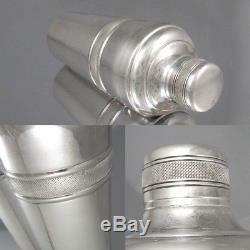 The bottom bears the the hallmark of the silversmith. (the letters A and G surrounding the image of sugar tongs). 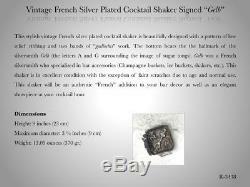 Was a French silversmith who specialized in bar accessories Champagne buckets, ice buckets, shakers, etc. 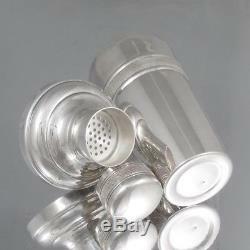 This shaker is in excellent condition with the exception of faint scratches due to age and normal use. This shaker will be an authentic French addition to your bar decor as well as an elegant showpiece at your cocktail hour. Height: 9 inches (23 cm). Maximum diameter: 3 ½ inches (9 cm). Weight: 13.05 ounces 370 gr. These charges are the buyers responsibility. We try to describe all items as fully as possible, but it is impossible to describe every aspect of an object. We give the history of an object to the best of our abilities, but we may make mistakes. Please look at our photos. 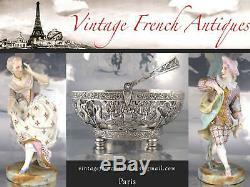 And see more beautiful examples of French silver. 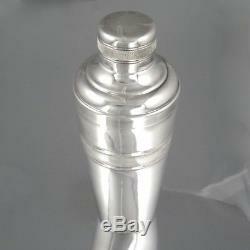 The item "Vintage French Silver Plated Cocktail Shaker Signed Gelb" is in sale since Friday, November 2, 2018. 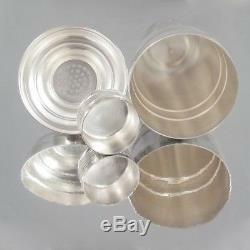 This item is in the category "Collectibles\Barware\Shakers". The seller is "jerrymartel" and is located in Paris. Weight: 13.05 ounces (370 gr.